The Republic of Ireland plays its first match in the UEFA European championship tonight [13 June] against Sweden at 5 p.m. in the Stade de France, the French national stadium in the commune of Saint-Denis, just north of Paris. Over the weekend, Paris has become home to thousands of Irish fans, who have done a better job of making Parish their home than the English fans have managed in Marseilles. But for centuries, Paris has been welcoming to Irish saints and scholars, refugees and writers, poets and priests, spies and politicians, journalists and revolutionaries, as well as football players and fans and fans alike. Whether or not Ireland achieves a miracle in Paris tonight, I am reminded that it is a miracle of modern literary achievement that James Joyce had Ulysses published in Paris. When the American Sylvia Beach of Shakespeare and Co, 7 Rue d’Odeon, published the book, she was also willing to take on all the financial and legal risks. Oscar Wilde (1854- 1900) first visited Paris in the summer of 1874, in the company of his mother, Speranza. In his final days, after his public humiliation, Wilde found refuge in Paris and under the assumed name of Sebastian Melmoth he stayed in Room 16 at the Hôtel d’Alsace from July 1900 until his death on 30 November 1900. His funeral Mass was said by Father Cuthbert Dunne, a Passionist priest, in the Church of Saint-Germain-des-Près on 3 December 1900, with 56 people present. Wilde received a pauper’s burial at Bagneux cemetery but his body was later moved to a grave Père Lachaise. WB Yeats (1865-1939) first visited Paris in February 1894, and admitted to his friend John Millington Synge that forgot where he was supposed to be. Yeats returned to Paris in December 1896, and stayed at the Hôtel Corneille, which was beloved by Irish writers in Paris, and where Yeats and Synge became close friends. On New Year’s Day 1897, Synge accompanied Maud Gonne to the inaugural meeting of the Association irlandaise in rue des Martyrs, and Yeats later had to counter rumours in Irish circles in Paris that Maud was an English spy. Yeats did not visit Paris again for almost a decade, once again in romantic pursuit of Maude Gonne in June 1908. He came again to Paris in early December 1908, when he stayed for a month, and in April 1911 with Lady Gregory. After he visited Paris in May 1914, Yeats returned to London, and stayed with Maud Gonne at her home. He passed through Paris several times after World War I, but by then Maud Gonne had left Paris. He would move to the south of France, and died in Menton in 1939. 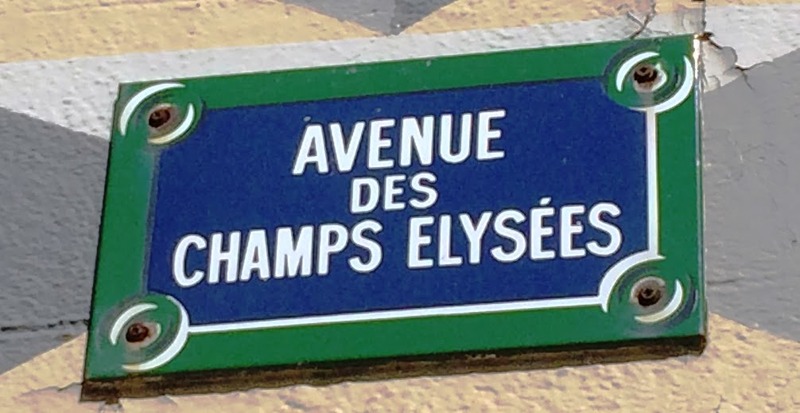 By some counts Joyce changed address 19 times during this stay in Paris, from 1920 to 1939, and moved around thanks to the generosity of a rich English widow, Harriet Shaw Weaver. Joyce and TS Eliot first met at the Hotel de l’Elysee in Paris on 15 August 1920. They dined in Joyce’s favourite restaurant, and Joyce extended his hospitality several times. Their friendship blossomed after ‘The Waste Land’ and Ulysses were published around the same time in 1922. In July 1931, like Joyce, Synge and Yeats before him, Beckett was to stay at the Hôtel Corneille, also in rue de Corneille. There he was introduced to Joyce by Thomas MacGreevy, and Beckett became a frequent visitor to Joyce’s flat at Square Robiac until May 1930, when he was blamed for upsetting Joyce’s schizophrenic daughter, Lucia. Beckett later stayed at the Trianon Palace Hotel at on rue de Vaugirard, around the corner from the rue de Corneille, but felt forced to leave in May 1932 during a campaign to expel foreigners without residence permits. When Beckett was almost stabbed to death by a pimp in January 1938, James Joyce found him a private room at the Broussais hospital and paid for it. While he was recovering, Beckett was visited by Suzanne Deschevaux-Dumnesil, who became his constant companion until his death. They both joined the French resistance network and after World War II moved to Ussy-sur-Marne, east of Paris, where he wrote much of his work. Beckett and Suzanne Deschevaux-Dumnesil eventually married in 1961, and they found an apartment on the Boulevard Saint-Jacques. In the early 1960s, Beckett, Peter Lennon, John Montague and other friends were regulars at the Falstaff on the rue de Montparnasse or at the Rosebud around the corner on the rue Delambre. Beckett was admitted to the Tiers Temps nursing home in 1988 and died there in December 1989, five months after Suzanne. Wilde and Beckett both went to school in Portora, Beckett was a cricket player and a boxer, and both Beckett and Joyce were great rugby fans. Joyce’s love of rugby began on the 14 April 1923, when he watched a tie between Ireland and France. I do not know whether they were soccer fans, but in Ulysses we read that “Cissy Caffrey whistled, imitating the boys in the football field to show what a great person she was.” Meanwhile, let’s home that the fans who have arrived for a few weeks in Paris don’t stay there for 20 years.